Being as one of the most charming and affluent inner-city suburbs in Melbourne, the streets of South Yarra are well occupied by elaborated shops, cafes and patisseries. 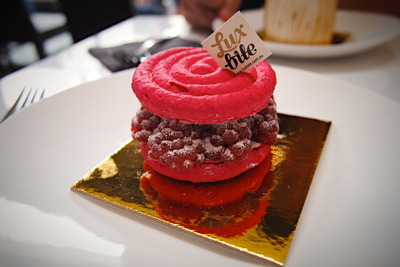 Among them is a new concept store located near South Yarra train station - LuxBite, a shining star specialised in French pastries and macaroons. 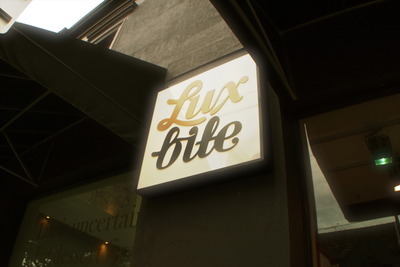 The two owners and pastry enthusiasts of LuxBite, Bernard and Yen, have together earned themselves impressive skills by working with some of the best chefs in Australia, including Peter Gilmore of the Quay and Michael Moore of the Summit Restaurant. They have taken a fresh and modern approach to the beloved popular French pastries, revealing their energy and passion for delicate sweets. The patisserie at all times advocates the use of the finest quality and freshest ingredients available. 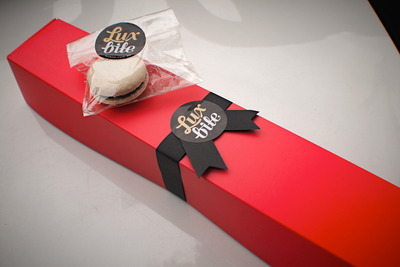 Owing to that, the flavours of the cakes and macaroons offered at LuxBite will be altered according to seasonal differences. Nevertheless, they all taste devilishly good. The cafe has a charming chalk white interior, channelling an antique-inspired minimalistic style. 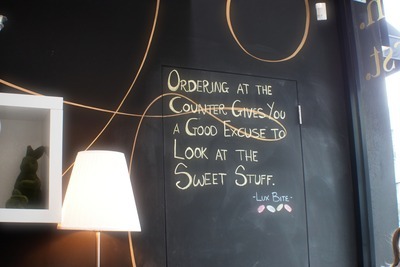 A chalkboard is featured on one of the walls with engaging messages written on it. Decorated by dainty plants, interesting photos and colourful macaroon towers, the cafe could be regarded as one of the best places for a casual afternoon tea to catch up with friends. The ever-so-elegant Endless Love is an enlarged version of a pinkish rose, lychee and raspberry macaroon. Surrounded by fresh and ruby red raspberries is a plump and juicy lychee in the middle. 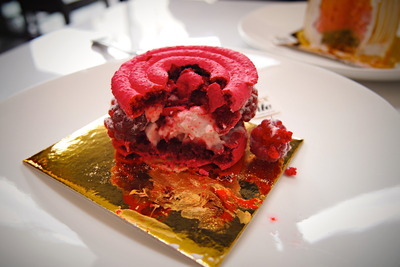 Slightly sour yet slightly sweet, the raspberries offered a nice balance to the existing flavours within the sizeable macaroon. Further, a subtle fragrance of roses was exposed from the macaroon crusts, hinting a sense of sophistication. 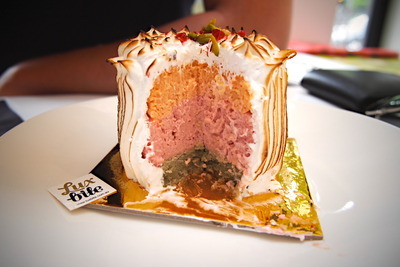 Addictive and consuming, the Stoned Meringue Monster was consisted of three layers - creamy apricot at the top, raspberry yogurt in the middle, and pistachio sponge at the bottom. The layer of airy, marshmallowy meringue was purely sensational. Crunchy crushed pistachio nut mixed into the bottom layer of sponge cuts into the creaminess of the dessert, enhancing the overall texture of the cake. I am truly amazed by the fact that even the tiniest addition could create such a substantial improvement. 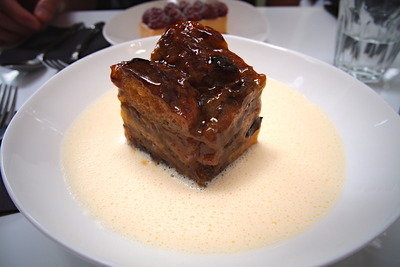 The bread and butter pudding is by far one of the best I have ever had. Rich and comforting, it was served in a shallow plate filled with aromatic Brandy cream. Slicing into the sticky glaze on top followed by moist layers of bread, and watching the pudding submerged into the warmed cream, I could no longer resist the thought of devouring the calorific masterpiece. The Brandy might happen to be on the heavier side for certain individuals but it was not overpowering, and I did appreciate a slightly stronger taste of liquor. Moreover, chopped almonds were added into the creation besides the usual raisins, which again spiced up the pudding with an extra crunch. 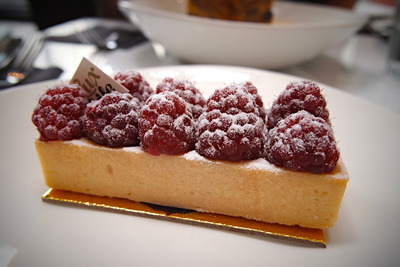 The Raspberry tart is actually a mascarpone cheese tart. Inside the amazing shortcrust pastry was a light, velvety vanilla mascarpone filling. 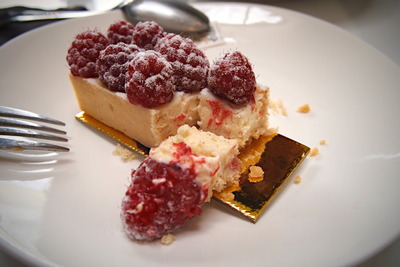 The sweet and plump raspberries were refreshing additions to the creamy contents. Apart from that, the dusted icing sugar provided a lovely contrast to the intense colour of raspberries. I particularly enjoyed that the tart was nothing too dense or overwhelming. 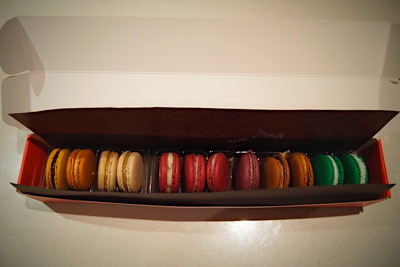 To complete our dessert trip, we of course had to grab a few macaroons along with us. Influences from the Malaysian background of the owners have led to an inherent touch of Asian flavours in the pastries. Committed in delivering products of excellent quality, Luxbite has maintained a high standard of its products. That has led to the offer of "defective" macaroons for sale at $1 each, which were considered unsatisfactory owing to technical imperfections such as minor cracks or wrong sizes. Nonetheless, I purchased one in Oreo, and it looked absolutely perfect to me. From left to right (in pairs): Heilala Vanilla Creme Brûlée (happily eaten), Choc Banana, Kaya toast, Caffe Latte, Rose & Lychee, Ribena Lemonade, PB & J, Pandan. 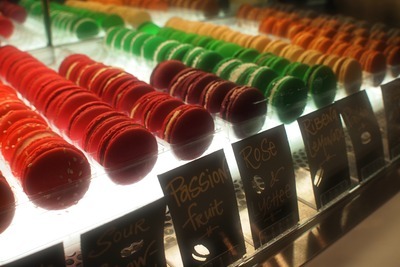 Pandan was a stand out among the collection of macaroons. The green coloured delicacy appeared as if it was enclosed by a thin layer of snow with the shredded coconut surrounding the layer of cream. Apart from its beautiful presentation, the sweet and unique flavour of Pandan was distinctive. 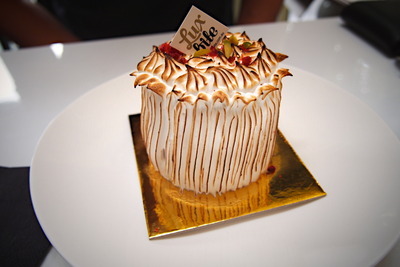 LuxBite was undoubtedly a dessert heaven, which is equally appealing whether or not you are a sweet addict. In fact, savoury and tea food such as sandwiches and coffee is also served other than sweet pastries. Include this adorable cafe into your next retail therapy session in South Yarra for a delicious treat and perhaps, an energy boost.